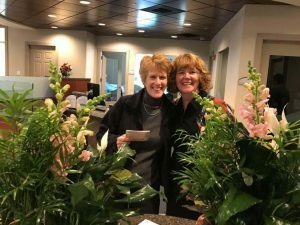 Photo Caption: Suzanne Broyles and Laura Peterson are surprised with flowers and a note announcing the news of their election to Assistant Vice President at Charles River Bank. Charles River Bank announced on Thursday, December 8th that two of their employees have been elected Assistant Vice Presidents by the Board of Directors. Laura Peterson was elected to AVP/Information Systems Manager and Suzanne Broyles was elected to AVP/Compliance Director. In her new role, Peterson is responsible for maintaining a secure network environment for the bank, implementing new Information Technology policies and procedures and maintaining vendor management where she will verify that CRB’s vendor partners exceed the strict financial, security and technology requirements expected by the bank and its regulators. Peterson graduated from Wheaton College with a Bachelor of Science degree in Mathematics and Economics. She then received her Master of Business Administration degree from Babson College. She began her career in banking during high school and joined Charles River Bank in 2004, bringing with her years of experience in both banking and technology. Peterson joined the IT team when it was first created and has since been an integral part of the department’s success. She currently resides in Franklin, MA with her husband and two sons. With ever increasing industry regulations, a new position was created for Broyles to ensure compliance standards are constantly followed. She will be responsible for strengthening Charles River Bank’s compliance program, conducting regulatory research and focusing on interpretation of regulatory risks. Broyles will also be monitoring internal controls reporting and audit scheduling. Broyles attended Bryant University for her Bachelor of Science degree in Business Administration and received her Master of Public Administration degree from Suffolk University. She has over 10 years of banking experience including knowledge in underwriting, servicing, collections, internal auditing and compliance. Broyles joined Charles River Bank in 2012 as the internal auditor and has recently earned certifications from the Independent Community Bankers of America including Certified Community Bank Internal Auditor as well as Certified BSA/AML Professional. She resides in Franklin, MA with her husband and three children. “I am very excited for Suzanne and Laura. They have shown a tremendous amount of hard work and dedication to Charles River Bank over the years, and these elections by the Board are well- deserved. 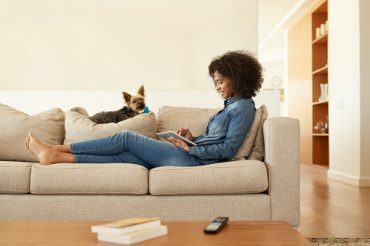 With more complex technology solutions and complex vendor management issues, along with growing regulatory burdens, their expertise will support our bank’s growing IT and compliance programs,” said President and CEO of Charles River Bank, Jack Hamilton.